The amount of 10 USD has been withdrawn from your account. Accounts: U4222871->U20886427. Memo: Shopping Cart Payment. Deposit to Limit Energy LTD User nelomota.. Date: 14:32 09.04.19. Batch: 255023627. The amount of 3.01 USD has been deposited to your account. Accounts: U20886427->U4222871. Memo: API Payment. Withdraw to nelomota from Limit Energy LTD.. Date: 22:16 09.04.19. Batch: 255094316. The amount of 5.16 USD has been deposited to your account. Accounts: U20886427->U4222871. Memo: API Payment. Withdraw to nelomota from Limit Energy LTD.. Date: 10:17 10.04.19. Batch: 255153009. The amount of 1.29 USD has been deposited to your account. Accounts: U20886427->U4222871. Memo: API Payment. Withdraw to nelomota from Limit Energy LTD.. Date: 13:14 10.04.19. Batch: 255174439. The amount of 10 USD has been withdrawn from your account. Accounts: U4222871->U20886427. Memo: Shopping Cart Payment. Deposit to Limit Energy LTD User nelomota.. Date: 16:07 10.04.19. Batch: 255214573. The amount of 0.86 USD has been deposited to your account. Accounts: U20886427->U4222871. Memo: API Payment. Withdraw to nelomota from Limit Energy LTD.. Date: 16:05 10.04.19. Batch: 255214358. The amount of 2.15 USD has been deposited to your account. Accounts: U20886427->U4222871. Memo: API Payment. Withdraw to nelomota from Limit Energy LTD.. Date: 21:30 10.04.19. Batch: 255255127. The amount of 6.02 USD has been deposited to your account. Accounts: U20886427->U4222871. Memo: API Payment. Withdraw to nelomota from Limit Energy LTD.. Date: 11:21 11.04.19. Batch: 255323776. The amount of 2.15 USD has been deposited to your account. Accounts: U20886427->U4222871. Memo: API Payment. Withdraw to nelomota from Limit Energy LTD.. Date: 16:26 11.04.19. Batch: 255380602. The amount of 10 USD has been withdrawn from your account. Accounts: U4222871->U20886427. Memo: Shopping Cart Payment. Deposit to Limit Energy LTD User nelomota.. Date: 16:34 11.04.19. Batch: 255381790. The amount of 2.15 USD has been deposited to your account. Accounts: U20886427->U4222871. Memo: API Payment. Withdraw to nelomota from Limit Energy LTD.. Date: 22:11 11.04.19. Batch: 255417535. The amount of 5.59 USD has been deposited to your account. 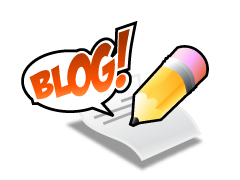 Accounts: U20886427->U4222871. Memo: API Payment. Withdraw to nelomota from Limit Energy LTD.. Date: 11:09 12.04.19. Batch: 255483902. The amount of 10 USD has been withdrawn from your account. Accounts: U4222871->U20886427. Memo: Shopping Cart Payment. Deposit to Limit Energy LTD User nelomota.. Date: 18:09 12.04.19. Batch: 255557201. The amount of 2.58 USD has been deposited to your account. Accounts: U20886427->U4222871. Memo: API Payment. Withdraw to nelomota from Limit Energy LTD.. Date: 18:09 12.04.19. Batch: 255557141. The amount of 6.88 USD has been deposited to your account. Accounts: U20886427->U4222871. Memo: API Payment. Withdraw to nelomota from Limit Energy LTD.. Date: 10:32 13.04.19. Batch: 255629217. The amount of 3.44 USD has been deposited to your account. Accounts: U20886427->U4222871. Memo: API Payment. Withdraw to nelomota from Limit Energy LTD.. Date: 18:59 13.04.19. Batch: 255690068. The amount of 10 USD has been withdrawn from your account. Accounts: U4222871->U20886427. Memo: Shopping Cart Payment. 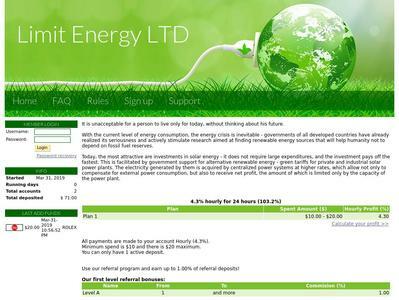 Deposit to Limit Energy LTD User antonio.. Date: 11:36 15.04.19. Batch: 255890777. The amount of 3.87 USD has been deposited to your account. Accounts: U20886427->U4222871. Memo: API Payment. Withdraw to antonio from Limit Energy LTD.. Date: 21:02 15.04.19. Batch: 255984153. The amount of 5.59 USD has been deposited to your account. Accounts: U20886427->U4222871. Memo: API Payment. Withdraw to antonio from Limit Energy LTD.. Date: 10:30 16.04.19. Batch: 256053461. The amount of 0.86 USD has been deposited to your account. Accounts: U20886427->U4222871. Memo: API Payment. Withdraw to antonio from Limit Energy LTD.. Date: 20:31 16.04.19. Batch: 256153504.